Waterfalls mesmerize me. For a shutterbug, almost nothing else captivates like the roaring rush of water cascading over rocks in the lush and verdant Pacific Northwest. 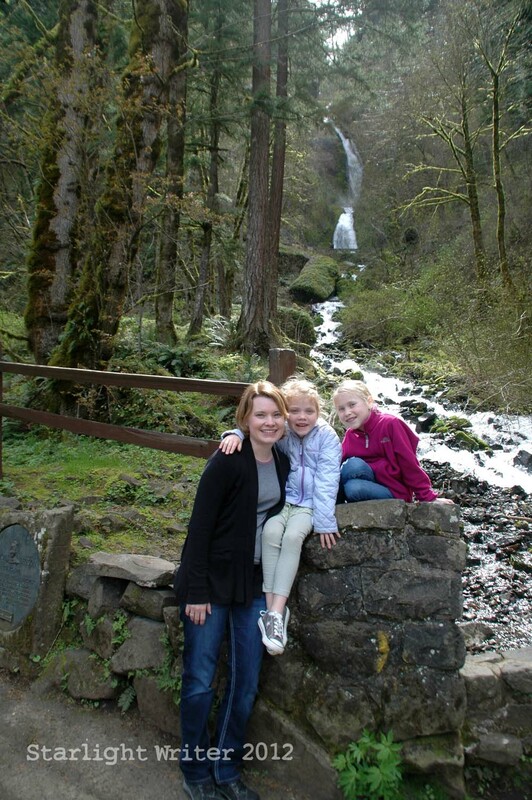 As a small child, I spent many family vacations chasing waterfalls on the Olympic Peninsula and near Mt. Rainier in Washington State. My mom was a shutterbug, too. 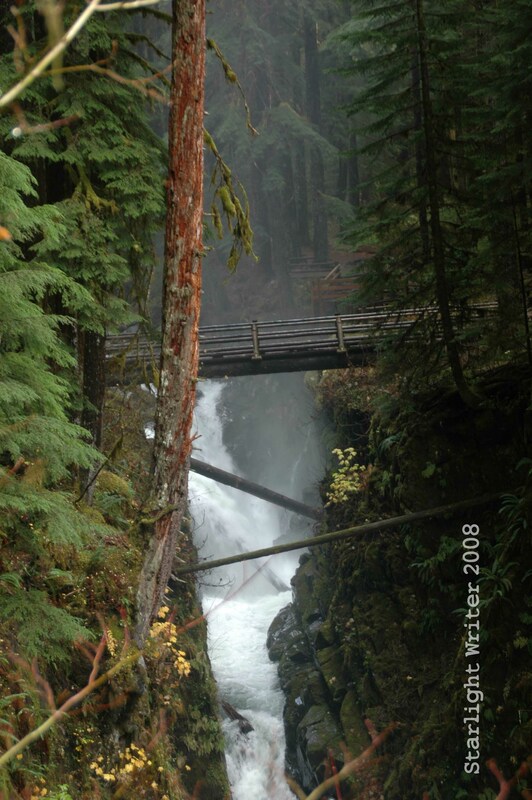 Later, as a young adult, my husband proposed to me at my favorite waterfall — Sol Duc Falls in Washington — making waterfalls even more memorable for both of us. 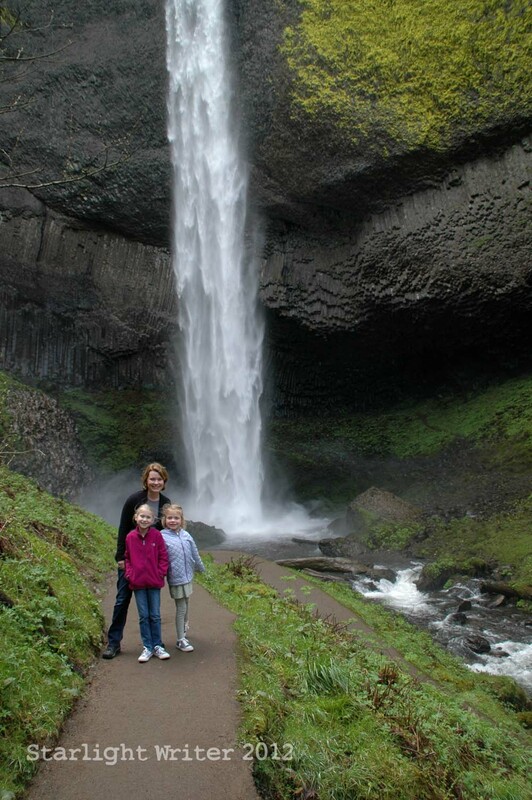 As a parent now, I think passing along this multi-generational obsession with waterfalls to my children is imperative because waterfalls display God’s glorious creativity. 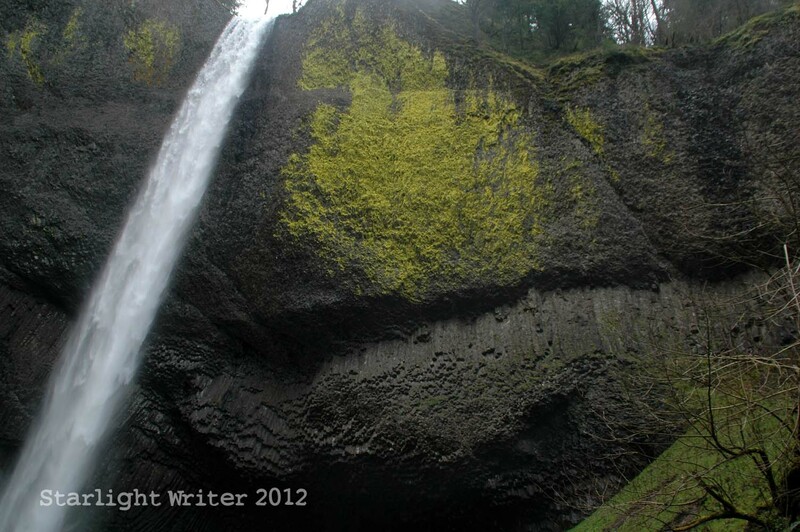 Thankfully, waterfalls are more than plentiful in the great state of Oregon. 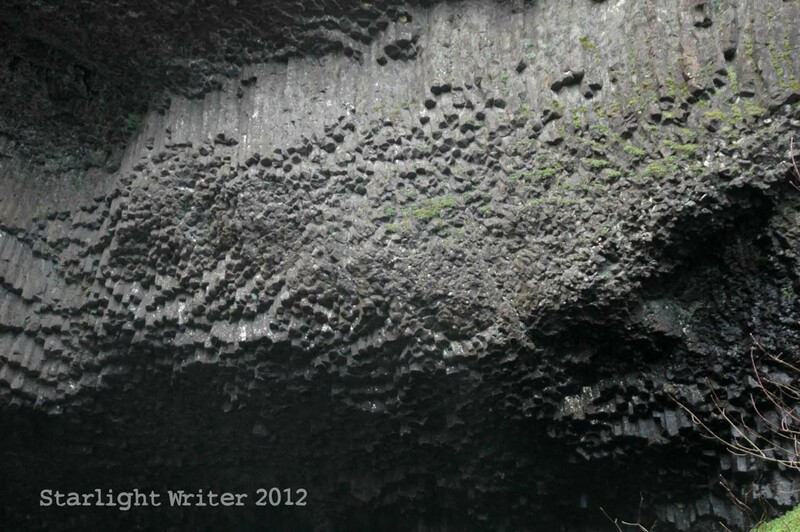 And my dear aunt knows the perfect route to enjoy several breathtaking waterfalls in an easy half-day trip. 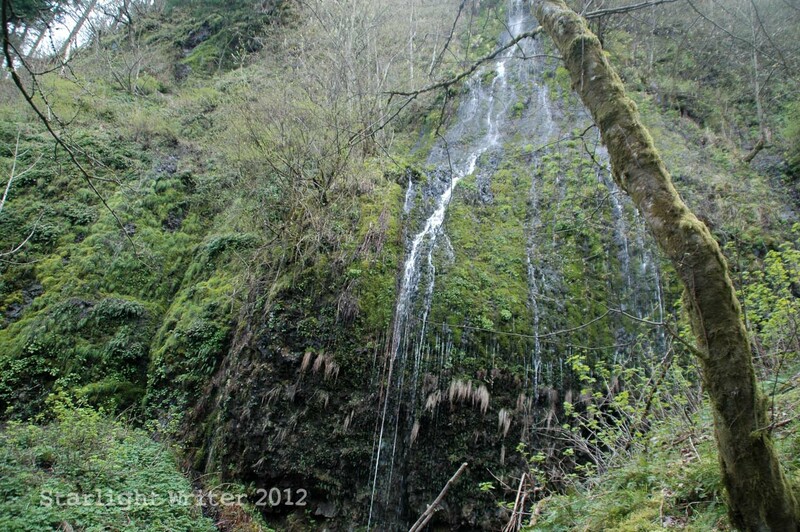 Site Two: Waterfalls along the Historic Columbia River Highway. 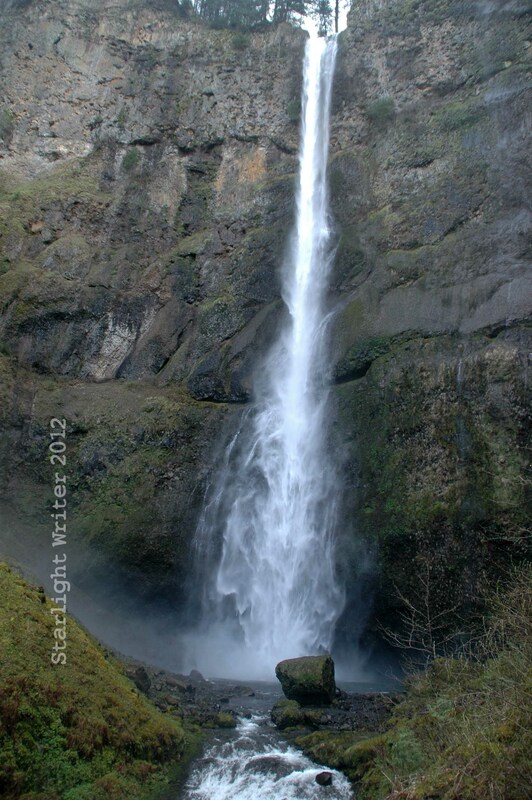 First up is Latourell Falls. This stunning waterfall is visible from the road, but a short downhill hike takes visitors close enough to feel a little spray. 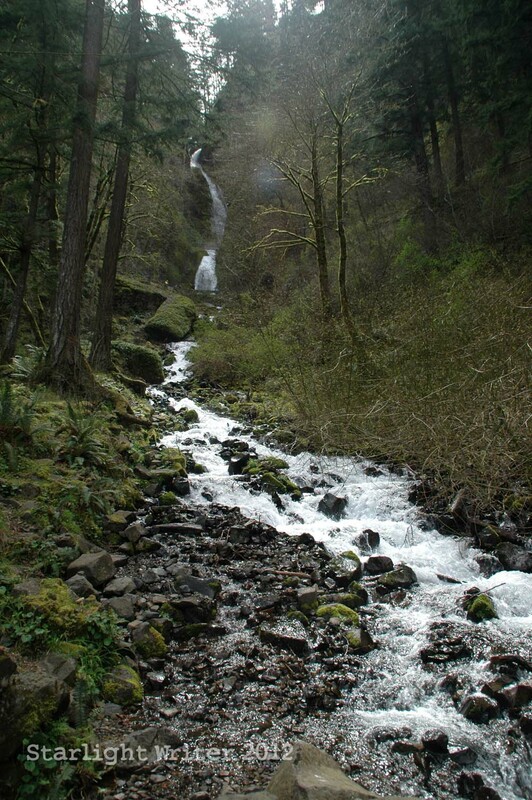 As we continued eastward along the scenic route in a van named Big Red, we caught glimpses of several smaller waterfalls. At our next stop, we thoroughly enjoyed a quarter-mile hike starting at this waterfall at Benson State Park. Isn’t it heavenly? 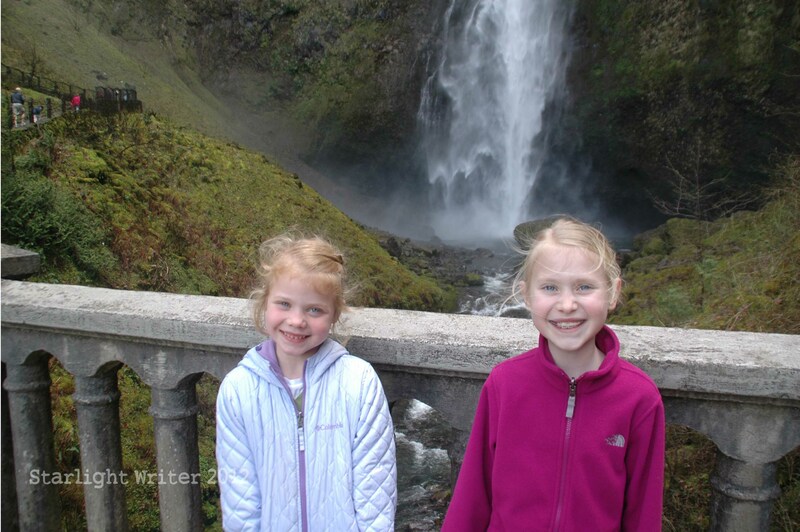 Thanks, Aunt Sheila, for capturing this shot of us girls in front of the falls. My dear Aunt Sheila is married to my Uncle Gary, who is by far the most experienced hiker I know. 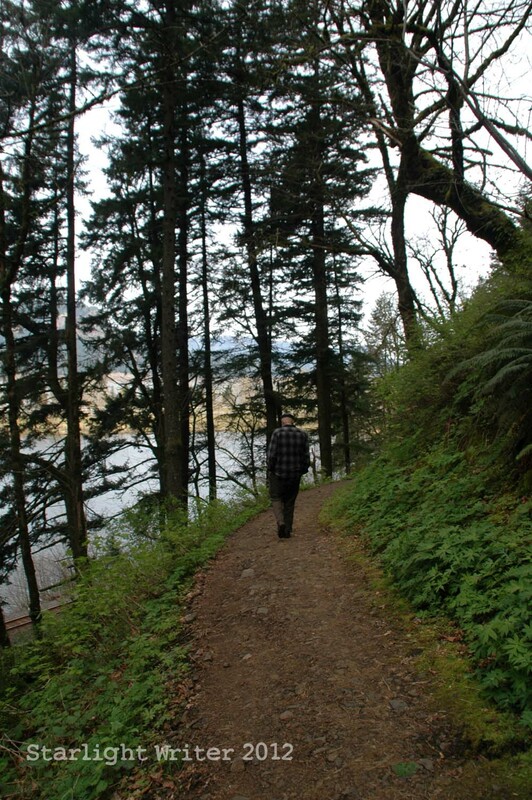 He led us on a little quarter-mile adventure up a path that rose high above the highway and railroad tracks. 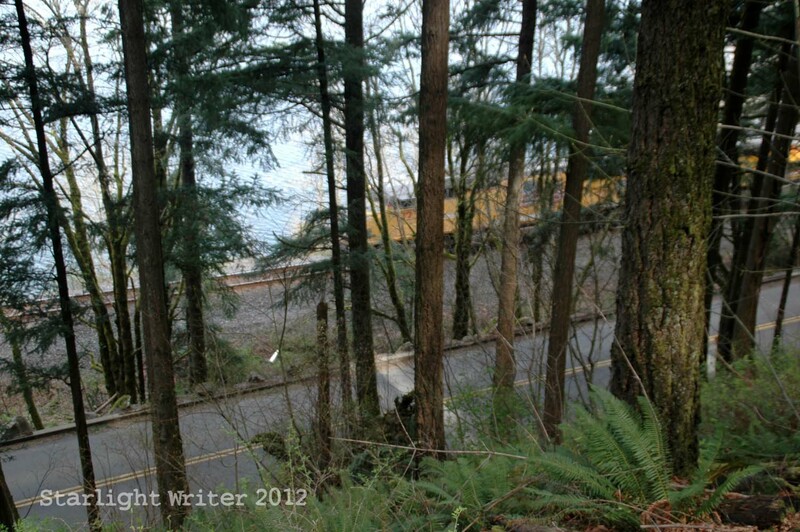 See the train hiding in the trees below? We had to carefully cross over a few slippery rocks under this trickling little waterfall. But don’t worry, the little sister kept her shoes dry this time. 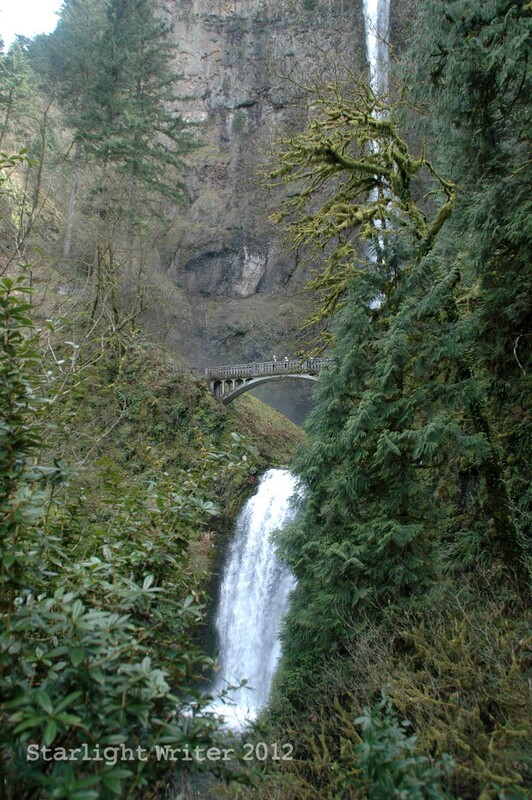 In just a few minutes, we arrived at Multnomah Falls Lodge. Seated near the cozy fireplace, we delighted in a delicious and memorable lunch with aunts, uncle and Gramma. Tunes from Aaron Copland’s Appalachian Spring set the uplifting mood as we overlooked the Columbia Gorge and watched a few more Union Pacific trains race by. The big sister was certain we were seeing just one train go around and around in circles because the engines all looked just alike — yellow with an American flag. 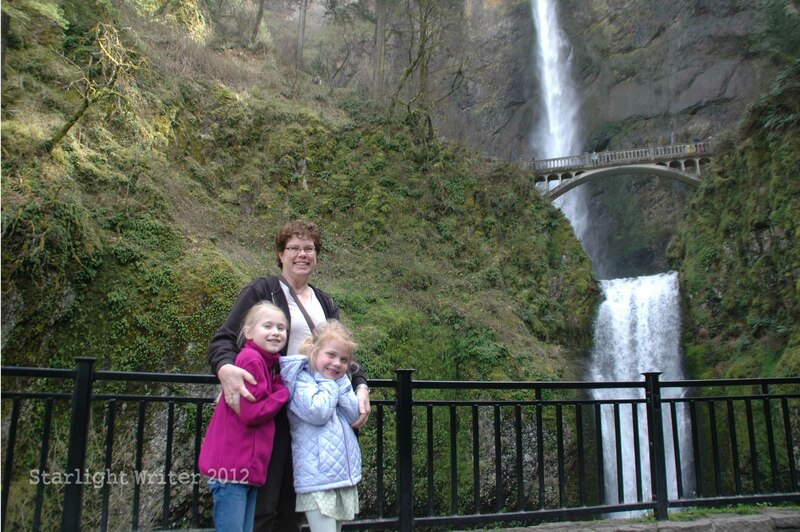 After lunch, we went up with Aunt Lilac to see Multnomah Falls. Then Uncle Gary joined me and the girls for a quick hike up to the bridge. 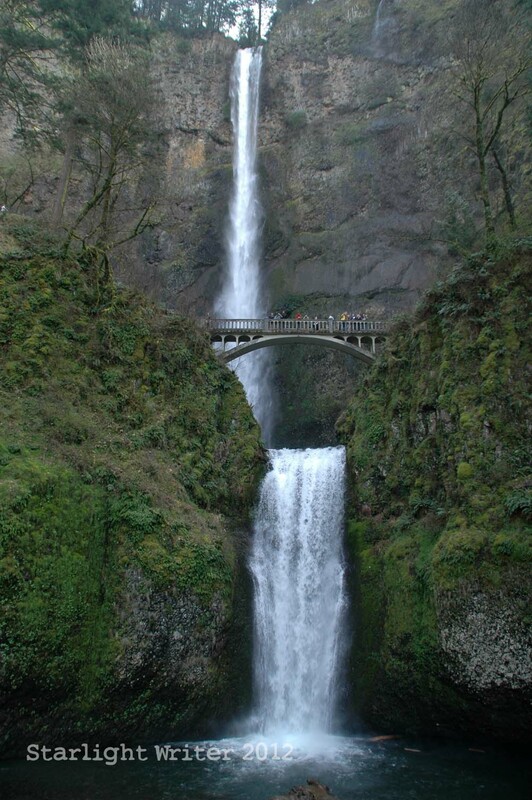 And so our waterfall tour ended on high at the gorgeous Multnomah Falls. 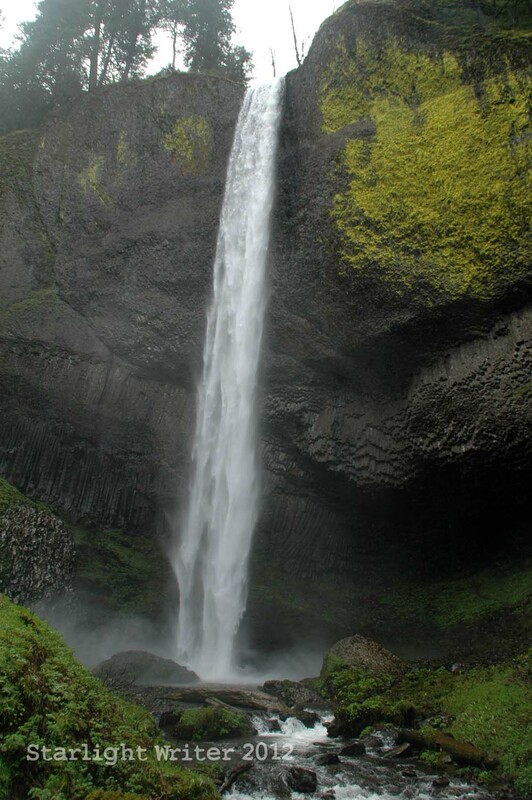 One spot we saved for next time is the falls at Bridal Veil, an adventure that requires more of a hike than our crew could handle that morning. We must go back! 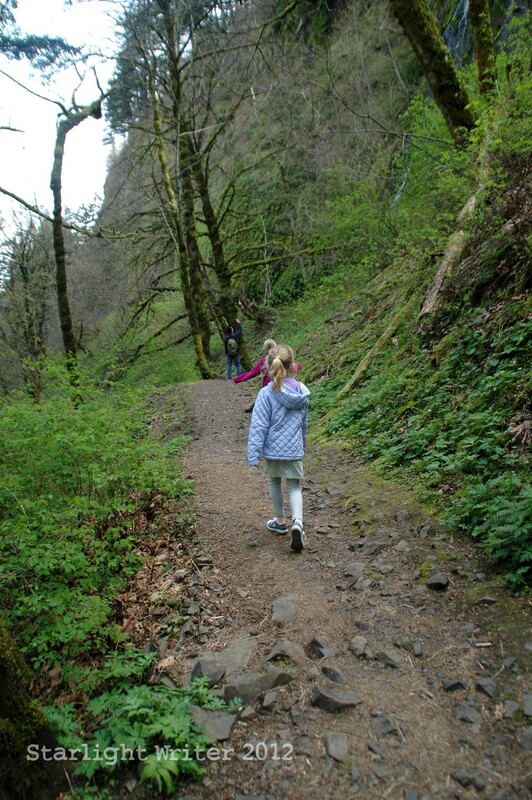 NOTE: Read about our other recent adventures in Oregon here: Spring in Oregon — Part 1.